When Should You Split Aces in Blackjack? When playing any Blackjack game you are going to get dealt out all manner of card combinations as your first two cards. When playing poker games an initial two card hand many players will be hoping are dealt out to them are a pair of Aces, and that hand combination can often be a very beneficial one for blackjack players too. However, when playing virtually all online blackjack games whenever you are dealt out a pair of Ace cards then you are going to be given the option of being able to split those hands into two new separate hands. When you decide to split any pair of Aces irrespective of whether they are matching ones of the same suits or not, you will then be obliged to place onto the blackjack table a new wager onto the new hand formed by one of your Ace cards. You will be wondering when the correct time to split any pair of Aces is based on what card or cards the dealer may be showing, well you should always split them no matter what card the dealer is showing even if the dealer is also showing an Ace. Be aware though that as you are going to have to place an additional stake on the new hand formed by one of your Aces then you will need to ensure that if you are playing for example the live dealer blackjack games online that you have enough cash reserves in your casino account balance to play that particular playing move. 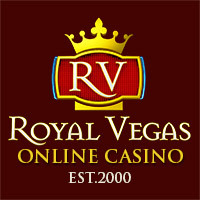 For if you do not have enough funds in your casino account balance then when playing live dealer blackjack, as you are only allowed a certain short amount of time to make your playing decisions on each hand dealt out to you, there may not be enough time to visit the banking interface and load up additional funds into your account. When that happens you are then not going to be able to split your hands as you will not have enough cash to make that move and as such you will only be able to hit or stand your hand which by the way in the incorrect playing strategy for playing any pair of Aces, and as such the house edge of the game you are playing will be increased when you hit or stand those Aces, which is something no blackjack player will want to happen. So to ensure you are never caught out in such a situation always shave enough cash in your casino account to allow you to split a pair of Aces, more than once if required and also to double down any hands that may call for you double down on those hands. There are going to be some quite different rules attached to various different blackjack game variants you can access and pay online in regards to how you can play off any split Aces. With that in mind you should always be aware of those player rules before you start to play any blackjack game as it will have an effect on the house edge of that variant you are playing, in either a positive of negative way. One playing rules found on a large number of blackjack games is that when you have chosen to split a pair of Aces after those cards have been split and have formed two new hands then the dealer is only ever going to deal one card to each of them. However, some variants of blackjack will allow you to receive multiple cards to one or more split Aces and some variants are also going to allow you to keep on splitting Aces should any split Ace then have another Ace dealt out to those hands. You will also find that you may be permitted to double down a split Ace depending on the value of the card that has been dealt out to it, and those particular variants will of course require you to have plenty of cash reserves in your casino account as you will have to pay to split the original set of Aces, and then to split any additional pair of Aces formed and also pay to double down on any hands which the perfect strategy for those games call for you to double down those hands. You will always find that when playing Blackjack online or in fact in a land based casino venue the dealer will from time to time deal himself or herself an Ace, and even if you are showing a pair of Aces then you are going to be offered the insurance wager. Now when that wager is offered to you if you choose to accept it then on each hand that you opt to take the insurance wager on you will be required to pay a side bet wager of exactly half the amount of your base game hand. So for example if you are playing for 5.00 per hand and take insurance on one hand dealt out to you that side bet wager will cost you an additional 2.50. Whilst the payout odds when the dealer has a blackjack hand is going to see you losing your original wager but being paid out at odds of 2 to 1 on the insurance side bet you may think that is a sensible side bet wager to place. However, nothing could be further than the truth. The insurance wager is one on which the casino can make a lot of money over the long term for that bet has a huge house edge many times greater than the house edge of the variant you are playing, and as such the dealer will be looking for you to take the insurance wager as it increases the long term profit of that game. With that in mind you should never take insurance when offered to you as it is one of the worst bets you can ever place at a blackjack table.